Kids Do Better When They Know Its OK To Fail - I Am Proud Of My Kids! 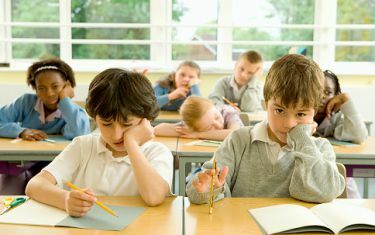 A study was recently done by the American Psychological Association that makes a lot of sense: kids do better in school when they know that failing and trying again is OK and just part of the learning process. These findings go to further show how important it is for parents and teachers to talk to kids about the process of learning. It is easy to understand how failing at something can demoralize you and push you towards giving up. We often need our friends and families to pick us up and tell us to try again, and kids are no different. Kids don’t always understand right away that it is OK to fail, and that it is just another way to learn. Co-author Frederique Autin explained, “we showed that helping children to interpret difficulty, not as a sign of intellectual limitation but as the normal learning outcome, improved their performance on very demanding and difficult tasks and reduced their feelings of incompetence.” This study shows our important it is to teach our kids about what they can learn when they fail, and how they can use that to try again and succeed. 1 Comment on "Kids Do Better When They Know Its OK To Fail"
CHILDREN NEED TO LEARN FAILURE. IT HELPS BUILD CHARACTER.